Welcome to the world of things made by me, Moe. 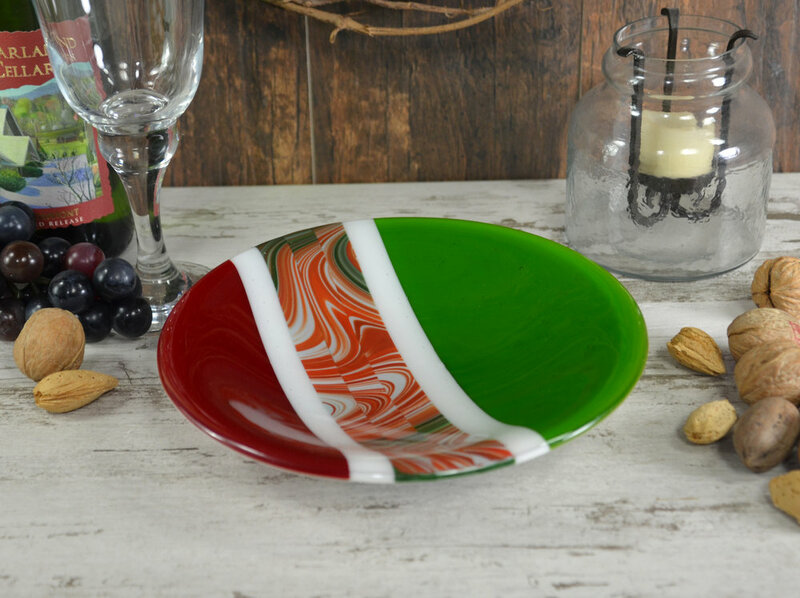 Here you will find beautiful functional glass wares, all individually crafted by hand and kiln formed. Each piece is a unique, one-of-a-kind creation, perfect for a home or office that calls for a distinctive look. You will also find several collections of handmade glass beads, each created using the age-old process of flame working and each is individual in its own right. Start your own new collection, add onto a bracelet you already own, create your own individual necklace, or treat yourself to a finished piece of jewelry. The possibilities are endless! It is my hope that you find a piece that brings you as much joy as I had while making it! I was born to create beautiful things. It’s what drives my soul. Glass is my passion; whether it’s bowl to decorate a home, beads that someone is happy to wear or a window to light the world with color. My favorite thing to do is to share, so when I’m not busy creating, you can find me teaching and sharing my enthusiasm and skills. Love the look of our bowls or have an idea for a piece for your home or office? Art is subjective to every person and we can work with you to develop the perfect custom piece that encompasses your taste and style.